It’s hard to believe that Law & Order: SVU has been around for so long but it remains one of NBC’s top scripted series. Many other programs have been cancelled over the years but this one has hung around. Will it be renewed for an 18th season? Time will tell. 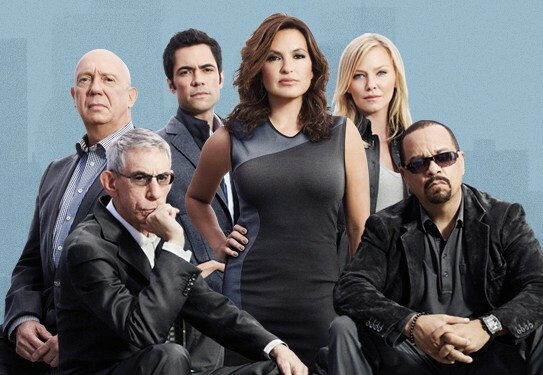 Law & Order: SVU follows an elite squad of detectives who investigate sexually based crimes in New York City. This season, the cast includes Mariska Hargitay, Ice-T, Kelli Giddish, Peter Scanavino, and Raul Esparza. 2/1 update: NBC has renewed SVU for an 18th season. Details here. What do you think? Do you still like the Law & Order: Special Victims Unit TV series? Would you like to see it cancelled or renewed for an 18th season? I am super pissed off. I am a DISH subscriber and have not had NBC for about a month and have not been able to even watch SVU. How can ratings be counted if dish hasnt had NBC? I will be super angry if my show gets cancelled and will never watch another NBC show again. SVU fans should join me in this boycott of NBC if the cut SVU. I love this show!!! Watch it all the time!!! I hope season 18 is on Netflix!! Please do not cancel the show!! The viewers number for 17-11 is incorrect. It should be 8.009, not 7.525. Why has episode 2 of this season, Criminal Pathology, taken down from video on demand. It was therre last week, and now it’s gone. I love Special Victims Unit, but don’t like that Rollins is pregnant on the show that’s just more personal issues. I just like for them to fight crime. Ms. Giddish was pregnant in real life which was written into the script, just as it happens all the time with female members of the NYPD. They could have had her hide behind desks and folders like SVU has done before, but that just seems silly. I been watching Law and Order from day one. Love,Love it. What we do not understand, is why do they play this horrible music in the background. You cannot hear the people talking. I really do not remember the music in the early shows. How can I turn the music off , so that we can really enjoy the show again. This was one of the best season openers ever! Love this show but I do agree, I miss a lot of the original characters. LAW & ORDER IS A GREAT SHOW AND HAS ALWAYS BEEN. . .DANNY PINO IS A BETTER FIT I THINK THAN SCANANINO OR WHATEVER…MISS HIM. 17 YEARS ON AIR ISN’T NOTHING TO THINK CANCEL – RENEW, RENEW AND RENEW. I could look at Olivia all day & night and more, but I can do without the graphics. I’ve seen autopsies & other corpses, and that’s more than enough for my tastes. Show still packs a punch! It’s a win-win for the network, no doubt. what would be next week.